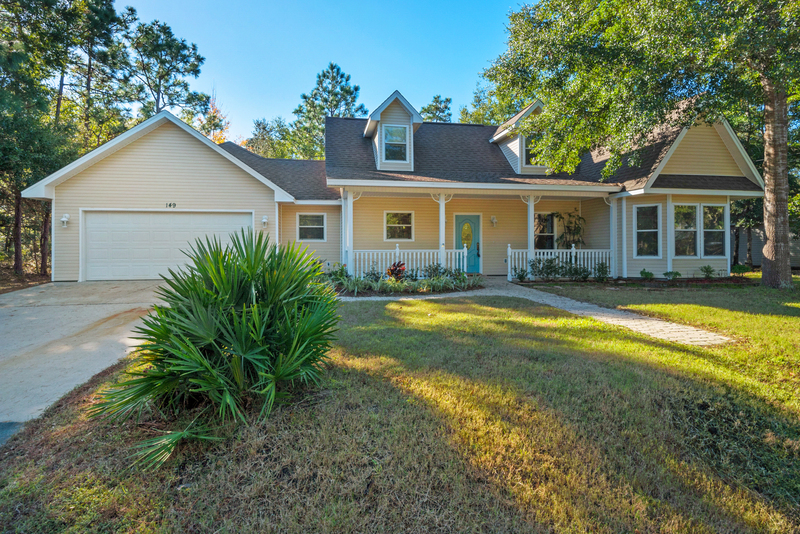 Under contract in 18 days! 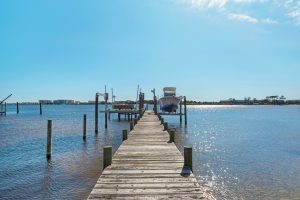 338 Brooks Street in Fort Walton Beach Florida is a 1.56 acre waterfront parcel with an existing home, potentially subdividable to four or six lots. This deep water lot went under deposit fast and was in high demand with multiple offers, before and after contract. What are the particulars? 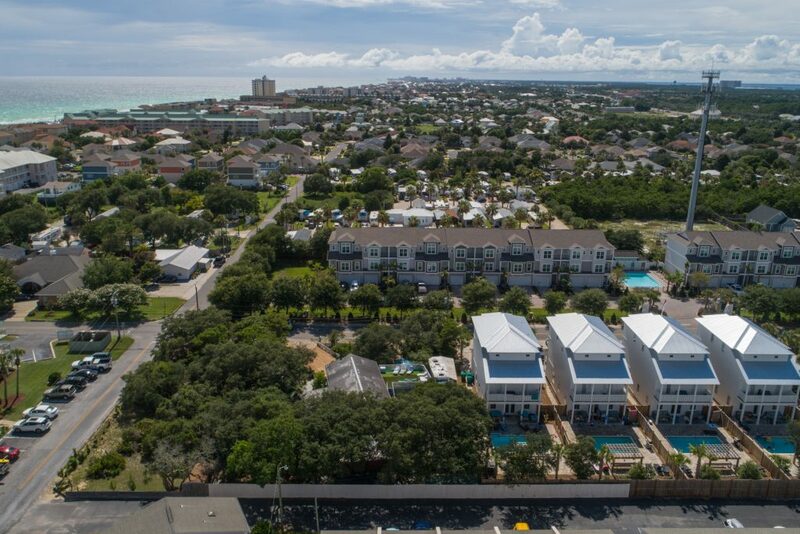 This is the second development piece Wendy Rulnick has sold on the Emerald Coast in the past few months. How may she help you? Life Without the Mid-Bay Bridge, Oh My! I had just made it across the Mid-Bay Bridge to White Point Road and then to my home in Bluewater Bay. I had groceries in the car from my stop at Publix in Destin, as I frequently do on my way back from the office in Miramar Beach. I either stop there or at Whole Foods to get our nightly dinner. Being as obsessive compulsive as I am about food quality, I carry insulated bags in my car for groceries. I worry about the food getting warm, even though it’s only about twelve minutes to my house from Highway 98 (I did say OCD, right?) For some weird reason, (probably another OCD) right after I put my groceries on the kitchen counter, I popped open Facebook before unloading them. 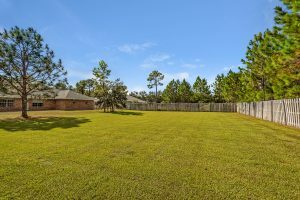 There was a community post for the Southwind neighborhood where I live in Bluewater Bay. It said the Mid-Bay Bridge had been closed indefinitely for repairs. Of course, I thought this was a joke. I had just driven across the bridge, right? Huh? There was a link and I followed it, still thinking it was a mistake or old news. Then I went directly to the Northwest Florida Daily News website and there again, was the article. The Mid-Bay Bridge had been suddenly and indefinitely “closed” for repairs. How could this be? I had driven across the bridge only five minutes earlier! I had seen no closure signs. The only clue was earlier in the day, on my morning trip to the office, which by the way, normally takes 17 minutes, when I saw four large trucks parked and about a dozen workers with orange vests peering over the edge on the northbound lane on the side of the bridge nearer to Destin. I had thought they were either doing repairs or inspections or looking for a body (I hate to say it, but I’ve seen that before). Alas, no. It must have been part of their re-inspection of the corroded tension cables, so they say. I was in a state of shock. How would this affect my commute to work? Sure, I can work from home in my business field (real estate), but I need the “office” atmosphere to put myself in the mood. 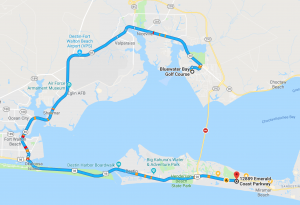 I whipped out Google Maps on my phone and asked for the shortest route to 12889 Emerald Coast Parkway from Bluewater Bay. It was buzzing all over Facebook that Google Maps were already updated and were not showing the availability of the Mid-Bay Bridge route. Google Maps showed me the fastest path was Highway 20 through Fort Walton Beach, stating the time to arrival would be 54 minutes. Posting this immediately on Facebook, receiving dozens of “friends” comments, I was told that Highway 20 to Highway 331, then through Santa Rosa Beach would be faster. I had to give this the college try the next morning. I already knew (told you – OCD), that to get to Publix in Freeport took about 22 minutes. It did. But how much longer would it be to get to Miramar Plaza? By the time I passed Sandestin, no, Sacred Heart Hospital, no, Walmart in Santa Rosa Beach, I had about lost it. There was no way I was going to have to do this again to get home, right? Call me spoiled. Tell me how it “used” to be in the good old days “before” the bridge. Tell me to toughen up “we used to do that all the time”! I’ve got to counter you there – what life choices would have been made or not made had there been no Mid-Bay Bridge? I probably would have moved to Fort Walton Beach, had an office there, or one in Destin with a home in Destin. NOT moved to Bluewater Bay with an office in Miramar Beach. (OK?) Anyway, after reaching my office (subtracting six minutes for a gas stop and Starbucks – bought as a present for myself for the commute turmoil), it took me a total of 58 minutes to reach work. Typically, as I stated, it is 17 minutes. My next issue was timing going home. I cannot drive in the dark. I’m one of those people with poor eyesight, contact lenses, coke bottle glasses, and get very distracted with headlights on me driving in pitch black. Since it gets dark about 5:00 p.m., I knew I would have to start home by 4:00 p.m. After consulting with my engineer husband, he suggested I leave no later than 3:45 p.m. The other catch was the gym time. I work out at Gold’s Gym in Destin and normally go there at 3:30 p.m. each day to exercise for an hour. To keep up my gym routine, I would have to leave work at 2:45 p.m., lift weights for about 30 minutes, then scramble out to Highway 98. I did this. Stressed out the whole time. Ineffective work out. Driving home was another story. It was now “rush hour”. I could tell it would take longer. When I hit Highway 331, the sun really illuminated the cars in front of me, so much so that I didn’t notice the brake lights on the car I was following. No, I did not get in an accident, but definitely screeched the brakes. Pay attention, Wendy! By the time I got home it was an hour and fifteen minutes later. Here is where I am today. Home. I’ve decided that driving for almost two and a half hours a day to work on my P.C. for three hours makes no sense. And I will go batty. So, I am remoting into the office computer and trying not to get distracted by doing the laundry, cleaning, playing with cats and writing blog posts. I actually joined Bluewater Fitness yesterday, as it’s only three minutes from my house. Am I being productive? No. Not really. As I sit here typing away in my pajamas at 10:30 a.m. Yesterday one of my real estate friends called me and said he heard the Mid-Bay Bridge had re-opened. I screamed with joy. He called back five minutes later and said he misunderstood and was wrong. I was crushed. All day long I scour the internet looking for articles about the Mid-Bay Bridge. Any hint or hope of it re-opening soon. I feel for all my friends who MUST commute and are not able to work from home. People who travel from Crestview or Niceville to Destin or Miramar Beach. Eglin AFB workers who live in Destin and go to the base. Of course, duh, safety is first. Meanwhile, I’ll leave the hard-core investigating to the reporters and I will try to stop bird-watching long enough to get some work done. UPDATE: Breaking News!! The Mid-Bay Bridge is tentatively scheduled to re-open on Wednesday evening, January 16, 2019! My life is complete! 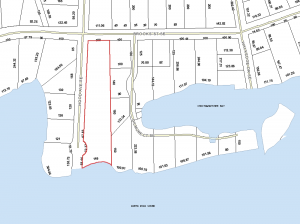 The prize waterfront lot of Elliott Point at 338 Brooks Street, Fort Walton Beach, Florida has become available for purchase. 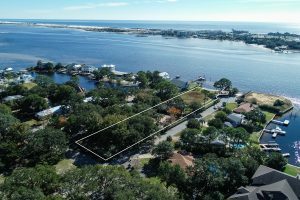 Own this rare 1.56 acre deep water piece to build the ultimate estate in this coveted, established Fort Walton Beach neighborhood. 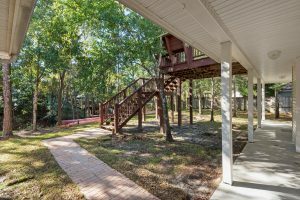 The professionally landscaped manor-like yard with full privacy hedge has a meandering 360′ pier to the waterway and a 125′ dock. The deep, deep water off Santa Rosa Sound and Choctawhatchee Bay is suitable to berth a 50′-60′ vessel. 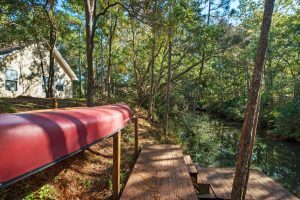 There is a possibility to split the lot into four to six parcels, or consider subdividing off one or two lots to sell while building a superlative waterfront residence. There is a seawall and two boat lifts. 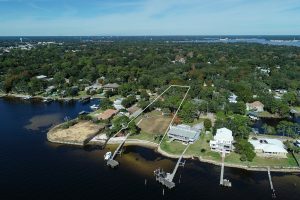 This remarkable lot on the Sound, Bay and intercoastal is the consummate setting to create an unequalled waterfront estate. The possibility exists for property to be subdivided to 4-6 lots with 4-5 fronting Hood Ave. SE and one potentially fronting Brooks St. The public sandy beach/water access at the end of Hood Ave SE., adjacent to 338 Brooks St. adds value to subdivided non-waterfront lot splits. The current zoning is R1E, minimum lot size 15,000 SF, minimum lot width 75’ per lot. The waterfront portion of the lot in zone R1E has a setback requirement of 50’ from the mean high water line. A zone change to R1 for the non-waterfront portion of the lot would change minimum lot size requirement to 7200 SF per lot, minimum lot width 75’ per lot, with a 25’ rear yard setback requirement. The process to approve subdivision would require amending the existing subdivision plat. For lot size splits, application for rezoning to R1 and subdividing could be considered concurrently. After City of Fort Walton Beach engineer/planning review, application would go before the seven member Local Planning Agency, which is a public board making a recommendation to City Council. Following, there would be two public hearings with City Council for consideration and final approval. The typical approval time after application is 60-90 days. 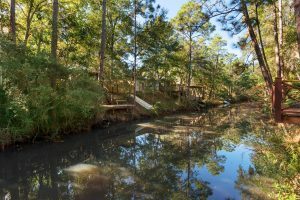 The City of Fort Walton Beach offers a pre-application meeting with engineer and planning department to include discussion of water, sewer, storm water management and plats. The developer may bring a preliminary site plan layout. The FEMA flood zones are AE9 nearer to Brooks Street, the majority of the lot is zoned AE10 and near to the water AE11. Information is to be verified independently from purchaser’s insurance agent. Separately, the developer may consider applying to FEMA for a Letter of Map Amendment (LOMA) and building the proposed structures higher (via fill or pilings, etc) to reduce flood insurance premium costs or may consider raising the elevation of the property itself with fill and applying for a Letter of Map Revision (LOMR). There is an existing 1950’s home on the site. 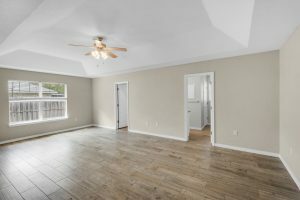 This information, actual lot size and dimensions and suitability for a particular use must be determined solely by the buyer. 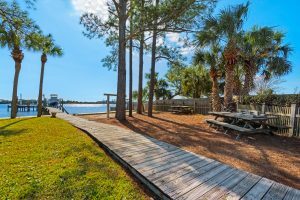 If you are interested in this one-of-a-kind deep water lot offering for either your imagined waterfront estate or as a development, contact me today. 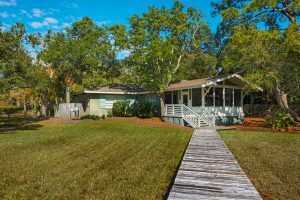 338 Brooks St., Elliott Point, Fort Walton Beach Florida is offered for sale for $999,900. UPDATE: This property is now under contract after only 18 days on the market! How may I help you? Thank you to my Destin Florida seller! I sold two Destin townhomes for him within a few weeks. 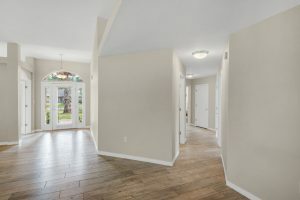 I advised him on an effective remodel that would maximize his selling price. It’s always a pleasure to hear that I’ve helped someone! Filed Under: Destin Florida, Etc. I usually send out about five email newsletters per year to my database, once every couple of months. These contain a few local real estate articles or blog posts that I’ve recently written. 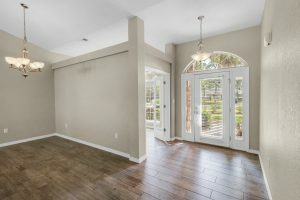 The articles may be about houses or condos for sale, pending or sold, local information, “Diary of a Realtor” stories, and other items about the Emerald Coast real estate market or real estate in general. The reactions from my customer base can be quiet at times. For example, I may get no responses at all. Sometimes, however, I get a call to list a property or for more information about local real estate for sale. 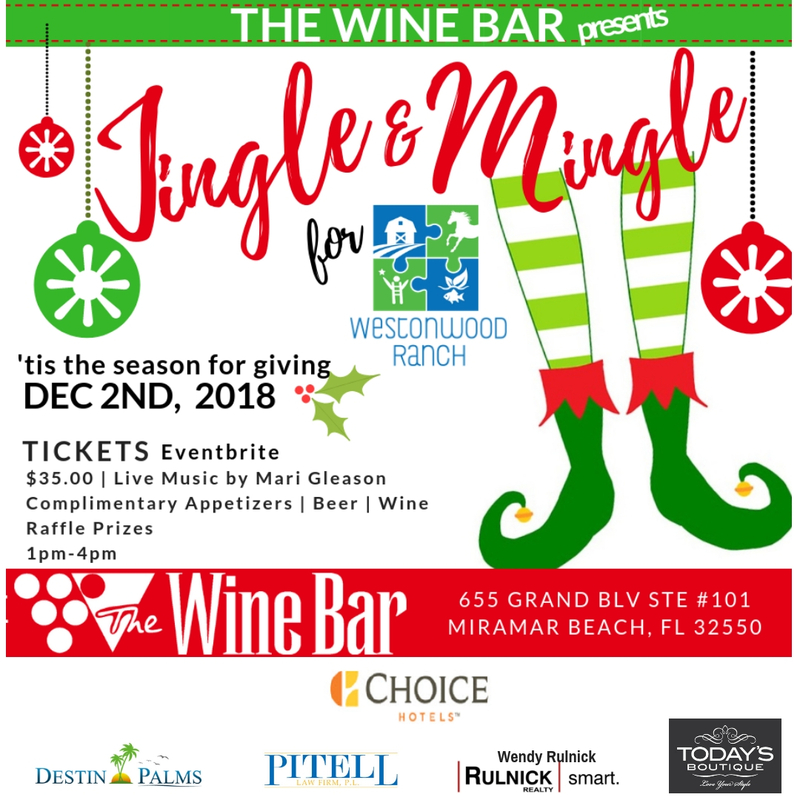 A few days ago I sent out a quick email newsletter about a charity event in Miramar Beach at The Wine Bar in Grand Boulevard to welcome the holiday season and raise funds for an autism support group in Walton County. I received two email responses. I felt really bad that the first party was annoyed with me. I immediately emailed her and told her I would remove her name from my database. The second party’s response made my day, however! If you would like an occasional local real estate update via email, let me know or subscribe here. Come to the “Jingle & Mingle” charity holiday kick-off event at The Wine Bar at Grand Boulevard, Miramar Beach Florida. Enjoy live music by Mari Gleason, appetizers, wine, beer, raffles at this fabulous restaurant in Sandestin on December 2, from 1:00 p.m. to 4:00 p.m.! Proceeds will benefit Westonwood Ranch of Walton County, a farm-based learning program for individuals with autism and related developmental disorders. Westonwood’s mission statement includes its goal to “fill the gap in transition services as young adolescents enter adulthood who have ASD (Autism Spectrum Disorder)”. Read founder Lindy Wood’s story of her son Weston and prepare to be moved as you understand why she created this important community organization. Order your $35.00 tickets here. We hope to see you Sunday December 2, from 1:00 p.m. to 4:00 p.m. 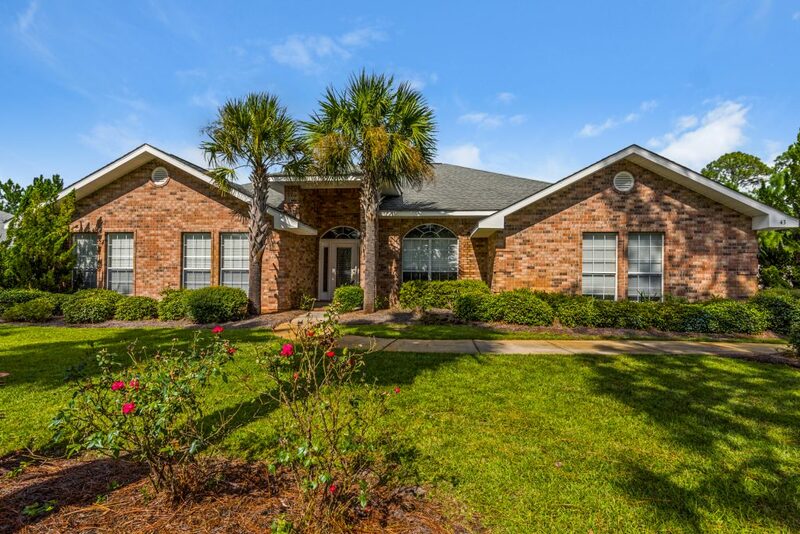 Recent Sales Around the Emerald Coast – How May I Help You? 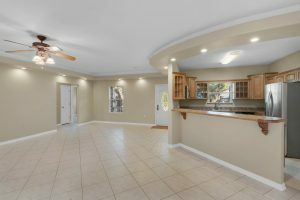 Are you thinking of selling your Fort Walton Beach Florida apartment complex or multi-family, duplex, triplex, four-plex etc? What is the apartment complex occupancy rate? Are all the rents for each apartment the same? Do the rents correspond with unit sizes? How long have the tenants been there? Are the leases on month-month, six month, one year or other? Are any rents paid in advance? If so, is there a discount for advance payment of rents? What is the main source of the tenants for the Fort Walton Beach area apartment complex? Is there a specific industry drawing tenants? If so, is the industry cyclical (such as tourism) or is the industry growing or declining? For example, if a new manufacturing plant is being built, that would be very attractive to a landlord. However, if companies are shutting down, that would be a negative. May I have the last three years profit and loss statements? What condition is the roof? If the roof age is questionable, have a roofer inspect it prior to selling, repair if necessary and give a life expectancy statement. If you don’t wish to do so, get bids for roof replacement from three reputable roofers, as the buyer certainly will if it’s in question. This will save you valuable time during the buyer’s feasibility period. 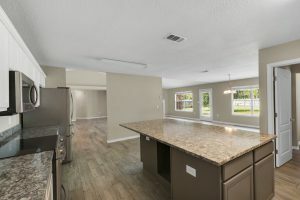 What improvements have been done to the apartments? How old are the air conditioning units? How is the plumbing? How old is the plumbing? What does the area look like? Is it near new shopping, old shopping, schools, water? Are there other apartment complexes nearby? Are there vacant lots adjacent to the apartments or multi-family units? If so, what is the intended use of the adjacent parcels? What does the apartment complex owner pay for? Water, sewer? Garbage? What is the cost for each? Is flood insurance required? Has the property ever flooded? What are the other insurance costs for the apartments? If insurance is high, why? Is there a survey for the apartment complex? Can more units be built? What is the zoning? Has there been any construction done without a permit? Repairs or renovations to the apartment complex or multi’s such as electrical wiring not done to code? Are there leaky windows, doors, or pipes? Is there any mold? Has mold been remediated in the past? Is there lead paint? Was the property built before 1978? Termite issues? Is there wood rot on the exterior of the apartment complex? Wood rot is very common in Northwest Florida. Has there been any property line or zoning disputes? Is there noise from airports or other affecting the property? Have deaths occurred at the Fort Walton Beach apartment complex? Are there any liens on this property? Is there protected wild life that has prevented building around the complex? Is there weather damage to any of the units? Has the soil been tested for development? Has there been an offer on the apartment complex or contract that fell through? If so, why? Why is the apartment complex owner selling? 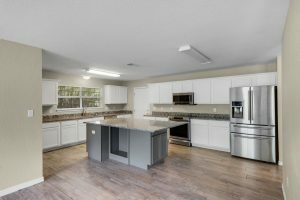 What were the recent and past capital improvements, capital expenditures (CapEx) for the multi-family apartment complex? Do you have a platform online to attract tenants? 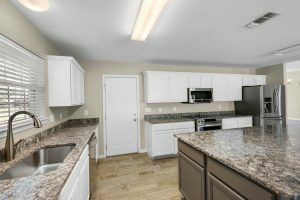 Do you have an apartment complex Facebook account for your Fort Walton Beach multi-family? 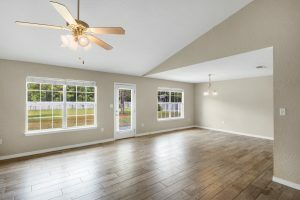 These are just some questions you should be prepared to answer if you want to sell your Fort Walton Beach area apartment complex. Are you looking for professional assistance in selling your apartments or multi-family units? Give me a call. 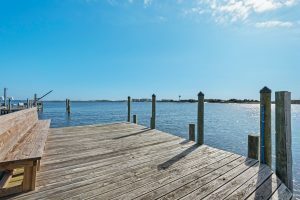 Wendy Rulnick, Broker, sells real estate in Destin, Santa Rosa Beach, 30A, Miramar Beach, Seagrove Beach, Watercolor, Sandestin, Seaside, Rosemary Beach, Fort Walton Beach, Niceville, Bluewater Bay, Navarre, DeFuniak Springs and Freeport, Florida.